The PubWorks CORE has the most support materials available online. We have organized the CORE Resources into four sections: Set-up and Data, Activities/Crew/Projects, Reports and Other. PubWorks Service Request is a critically important module to the majority of our customers, this page has great support materials. 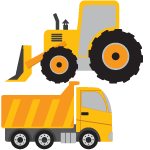 PubWorks Fleet has an extensive collection of useful Tooltips, webinars, What’s New, How To Videos and Documents. PubWorks Work Order Module has some great content. See what Tooltips, Webinars, and How-To Videos we have related to the Work Order Module. 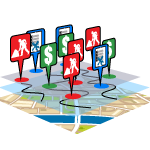 PubWorks MapViewer Module has a growing list of content. PubWorks Mobile is our newest product. The resources list is growing.